I’m doing a session at the Hay Festival this year, talking to Rosie Boycott about my glamorous / seedy [delete as to whim] life in poker, on the evening of Friday June 3rd. This kind of thing would normally appear in the monthly news section of this website - and probably will - but June 1st might be a bit late to get tickets, should you want them. Here’s something I’ve just noticed on the Hay website: tickets for my session are £10 but they will offer you a deck of cards on entry and if you manage to pull out a 2, 3, 4 or 5, you get your money back. It’s a cute idea, but I wonder if it was had by someone with a full grasp of the odds there? It sounds quite unlikely to the layman, I imagine, that you’d pull out one of those cards. Actually it isn’t. It’s not much more than a 2/1 shot. Maybe 9/4. If there are a hundred people in the audience, you’d expect more than thirty of them to get their money back. I hope the organizers know this and aren’t going to go skint on the deal…? Ah well. I’ve always been a cheap date. If you’re in the area and fancy attending this possibly free evening, tickets are available here, or by phone on 01497 822 629. Did they neglect to mention that each £10 refund comes out of your fee? victoria, you are assuming there will be a full set of 2,3,4,& 5 cards in the deck! Eric Hobsbawm - the West’s greatest apologist for Stalin - is this year’s Hay Festival President. Whatever were they thinking of? Ghastly, ghastly man. Anyway, what do you mean *maybe* 9/4? Assuming they use a full deck for each draw, with the previous person replacing their pick back into the pack, it is exactly that - four of the thirteen possible values wins the prize. Of course if they play a blackjack-style game then the odds will fluctuate. Far more fun would be a single card draw - you against each arrival. If their card higher than yours they get in free, but you win all draws. Genuine uncertainty, though you with the house edge. Or a real challenge: if they win they get in free, but if they lose they pay double. Get them sweating and thinking about the gambler’s life. So, they’re not expecting more than 52 people then (or 53 if Matthew picks up the Joker) - we’d better have a whip round. >Ah well. I’ve always been a cheap date. Read your book & really enjoyed it (thank you very much). One question - I’m a smoker, and I believe you are too; so, does the smoking ban inhibit or enhance your game playing? Or has it had an effect at all? I wonder if the desire to nip out for a ciggie break, or the desire to have one, has changed your play - or for any other smokers on the tour? Sounds like a good idea, if I fail can we go best of three? Why don’t you consider doing something like this at Glastonbury this year? Perhaps we could sit outside the Pear Cider bus and cut cards for rounds of Pear Cider? I’ve just seen your latest monthly news update about your article for the New Statesman - ‘Victoria Coren edited by the Archbishop of Canterbury’ sounds like a very short piece indeed - akin to ‘Confessions of a Window Cleaner’ edited by Mary Whitehouse. Hope you’re feeling better Vicky. Psychophant, I don’t agree with you at all - this thread’s never been more active. You can come here to fantasize whenever you like - know what I mean - nudge nudge, wink wink, say no more. I know someone who is going, is there any point in me asking him to try and get my FRFP copy signed or will the organizers and Sky TV people keep you to themselves? Hi Ken. I honestly don’t know what it’s going to be like, I’ve never been to Hay before. But I don’t think the Sky organizers will be doing anything like that; I believe they are going to film the session, but have promised that doesn’t mean I’m *making a TV show*, I’m doing a live festival chat exactly as planned, they’ll just have cameras there. So I’m assuming that nobody will be keeping me anywhere after it’s finished! I’d guess (based on book festivals I’ve been to as an audience member) that it’s quite informal after, and if people wander up to the stage with books then of course I’ll be happy to sign them. My only proviso is, this is a first for me so obviously I could be surprised at how it turns out to be! Time to sign books after the thing, though, would absolutely be my guess. I don’t think I can stand this much longer - aren’t you going to tell us how it went? Dear Victoria, I was in the audience for your interview at Hay last night and thought it was wonderful! Funny and enlightening. And I loved how pleased half the audience were to get their money back! I was reading your article in the Observer Vicky, and you’re totally right – we all need to stop filling our minds with stuff and nonsense, and focus on things that have more substance and meaning. Victoria, thank you so much for signing page 111 of my copy of “For Richer, For Poorer”. I hear that your talk at Hay was excellent, so now I regret that I didn’t try harder to get there in person, and I have to thank you here, instead. I am very grateful, indeed, if also bitterly disappointed not to have been there. Any idea when it will be broadcast on Sky Arts? Advance warning would be helpful as I will need an upgrade to get the channel. I don’t want the relationship with Ulysses, Victoria, but just the Erwin Schroedinger experiments please! I reckon you’d be brilliant at explaining his equations to a member of the poor dumbed down masses like me! Oh goodness, I barely remember the connection now. Schrodinger’s cat is the famous experiment - I’m not sure it ever actually happened, I think it was just a theoretical experiment - where a cat is in a sealed box with some poison that is released at a certain point. From the scientist’s point of view, knowing the cat is going to die, but unable to see whether or not this has taken place, there is a phase during which the cat may be considered to be simultaneously alive and dead. But as soon as someone opens the box it must be one or the other, ie. dead. It was a comment about the act of observation changing what is being looked at. I think. This could be all wrong, plucked from the depths of my ailing memory. victoria, I bet you had hours of fun applying schroedinger’s thought experiment to the work of james joyce. i myself had a simpler but no less satisfying approach of chucking it in the bin. When it comes to your appearance at the Hay Festival, we need to invoke “Heisenberg’s uncertainty principle”: those who were present at Hay can accurately measure your performance, the rest of us might be able to determine when it will appear on Sky Arts 1, but neither party can do both…..........well you started it! I am reading, and rather enjoying your book. I now have a strange urge to visit “the Vic” myself and see what it is like. Is it still possible to park nearby, or would I need to consider public transport or a taxi? You describe parking nearby on your first visits, but I assume that that was well before such things as congestion charging were even thought of. I hope that all is going well for you in the poker world. Ah, Schrodinger.. the equation, happy memories of Hamiltonians and Eigenvalues. The cat was just part of a thought experiment to illustrate quantum weirdness, the cat simultaneously alive and dead. However, real experiments (without cats) have now been done which demonstrate quantum weirdness. Particles are sent one at a time through a pair of slits. They behave as if somehow they went through both slits and interfered with themselves. If detectors are put by the slits to find out which of the slits they actually go through, they then behave as if they have only passed through the one slit. Although tempted, I have not read any Joyce. Thanks for reviving my interest. I can’t say I’ve read any James Joyce, but the conference took place in Ireland. Hi Jason. It’s not as easy to park near the Vic as it used to be - lots of residents’ now. It does have a car park (very important to tip) but public transport is probably simpler. ... but never mind such mundanity; I’m enjoying the Schrodinger chat. Hi Victoria. Nothing to do with Hey Hay. It’s just that I was at school with your Dad and I have some old school mags with a couple of his poems. I don’t know if you have them already. I enjoyed your New Statesman article, although from your build up in the news section I was expecting a more substantial piece. Never-the-less it stands up to re-reading a few times. I can’t speak for God, but a big part of why I enjoy your writing, and like your thinking so much, is that you really exemplify what used to be thought of as the English sense of fair play. Of course, I’m not sure it need be confined to the English, but it does seem to be more of a rarity nowadays, and yet there it is, alive and well, in the card room etiquette you describe. My parents treated me with scrupulous fairness, having seen how anything else can tear families apart, yet they left me ill prepared for the unfairness of the real world, but, as a personal choice, fairness is still possible. Having just watched your interview and spent the first twenty minutes thinking ‘I’m sure Hay finished weeks ago’, I began to suspect that Shrödinger was a television scheduler, or at least an events planner. Hay had simultaneously finished yet was still happening, right before my eyes. And then Shrödinger became Homer Simpson in a ‘doh!’ moment as Sky Plus revealed itself in all its quantum glory. Still, I enjoyed the show, if a little late to join the party. And now I’ve discovered this blog. Which is A Good Thing. Thanks to an early morning Sky Arts 1 repeat, I’ve seen it at last! There were some brilliant remarks and insights, many already mentioned in other peoples’ comments and reviews, in what was a truly delightful interview. I’m not sure what I can add to what has already been said, but as the fateful anniversary approaches, you will be pleased to know that by the end, my love and admiration for both you and your late father had grown considerably. you considered Celebrity Mastermind to be a lose-lose situation, and turned it down. Perhaps an even greater lose-lose situation would be having a film made of FRFP too soon. A film of OMWF perhaps, if Victoria Coren, pornographer, is a closed chapter of your life. 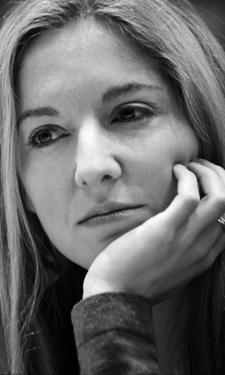 Victoria Coren, poker player, is very much an ongoing story which you should tell in person. If the film flops, it’s a wasted opportunity to tell your story. If it succeeds, will the real you will be eclipsed by the image and interpretation of an actress? Might your reputation even get linked to hers in public perception. That would be sad when the real Victoria Coren is so interesting and attractive. As your HIGNFY appearances show, the public values you more and more as it gets to know you better. Missed Hay this year. Originally dropped a line via your Twitter, but don’t think it’s working; my Q there was: if you had to describe yourself as one of the playing cards in a 54/55 card deck, which one would it be and why? Seeing as this post has a card theme, just thought I’d repose (wrong word, I know) the Q here instead.